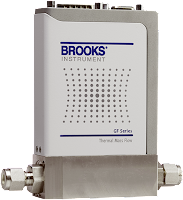 Non-invasive ultrasonic flow meters prove to be the better measuring solution. Since these meters measure from outside the pipe wall, there is no wear and tear on the meter making them virtually maintenance-free. Furthermore, there is no need to open the pipe for installation, which would result in at least a partial interruption of operation. There isn't a need for multiple workers or heavy equipment for installation. The entire measuring system, consisting of ultrasonic transducers and a measuring transmitter, is easily carried to the measuring location and installed by a single person. There is no disconnection of pipes or flanged joints, unlike when installing a magmeter. Finally, there is no need for block valves to hold back flow during installation, repair, or replacement. For more information on non-invasive ultrasonic flow measurement, contact Flow-Tech in Maryland at 410-666-3200, in Virginia at 804-752-3450, or online at http://www.flowtechonline.com. The McCrometer FPI Mag employs a ground breaking configuration. Unlike full-bore mags, the FPI Mag is placed in the middle of the flow stream where an array of coils and electrodes measure at numerous points spanning the diameter of the pipe. The FPI Mag's accuracy rivals that of conventional mag meters, so there's no compromise on performance. Save up to forty-five percent on installation and total cost of ownership. The FPI Mag is the only flow meter of its kind that eliminates the need for heavy equipment and excessive manpower necessary to support installation. Installing an FPI Mag is easy - there's no need to shut down or drain the lines. The FPI Mag even fits in compact spaces with limited access points. Prep for conventional mag meter installation requires heavy equipment and draining lines. Conventional mag meter installation is costly complicated and time-consuming. Biopharmaceutical production processes, including microbial fermentation and mammalian cell culture vary greatly with organisms behaving differently and metabolizing at varying rates. With in-process measurements you can monitor the key parameters and optimize the fermentation or cell culture processes. Using a bioprocess analyzer allows for rapid analysis of many different properties with one quick measurement. Both Fermentation and Cell Culture processes in a single, closed vessel can benefit greatly from in-process or in situ chemical analysis. Whether you are working with small laboratory scale reactors or large scale production equipment, Near Infrared (NIR) analysis can make your processes more efficient and optimized. NIR provides useful analysis for R&D, Scale-up, Process Development and full-scale production. Large-scale fermenters and bioreactors can hold as many as 250,000 gallons of raw material, which may be in process for hours or several weeks. An NIR analyzer can monitor both the start up media and emerging product on-line, despite the thick, soupy nature of the material. Cell Density, Product Titer/Protein with NIR analyzers. These properties can be measured In-Situ or in the lab. If you have many fermentors/reaction vessels, optical multiplexers will allow one analyzer to monitor up to 20 measurement points, sending all the valuable data to your process control system automatically. In mass production the electrical power savings alone can provide payback for an NIR analyzer within a few months. Added product yield from improved process control also generates enormous payback, as well as reducing the occurrences of lost batches. For more information visit Flow-Tech here or call 410-666-3200 in Maryland and 804-752-3450 in Virginia. 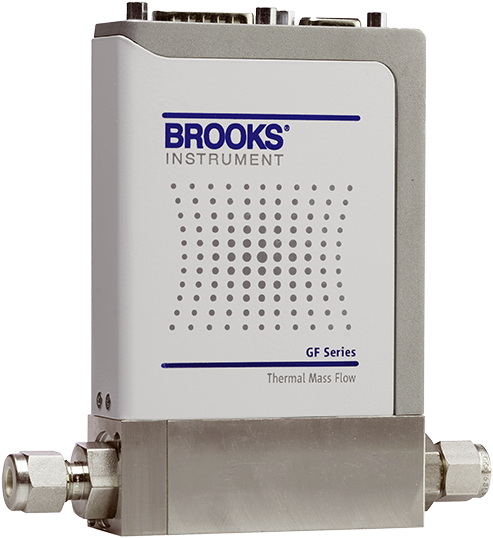 A white-paper by Brooks Instrument outlining recent trends in multi-sensor measurements within a mass flow controller are reviewed, with a focus on controller self-diagnostics. For more information in Maryland or Virginia, visit www.flowtechonline.com or call 410-666-3200 (MD) or 804-752-3450 (VA). New Class of MFCs with Embedded Flow Diagnostics from Flow-Tech, Inc.